Well, this isn't really a church review, but just something I've always wanted to do, and did it last year (2005) when I was down in Disneyland. I and my eldest daughter, saw the Crystal Cathedral and took in the service. I have read, over the years, a couple of inspirational books (1, 2) by Dr. Robert H. Schuller, and always enjoyed his inspirational and upbeat message. 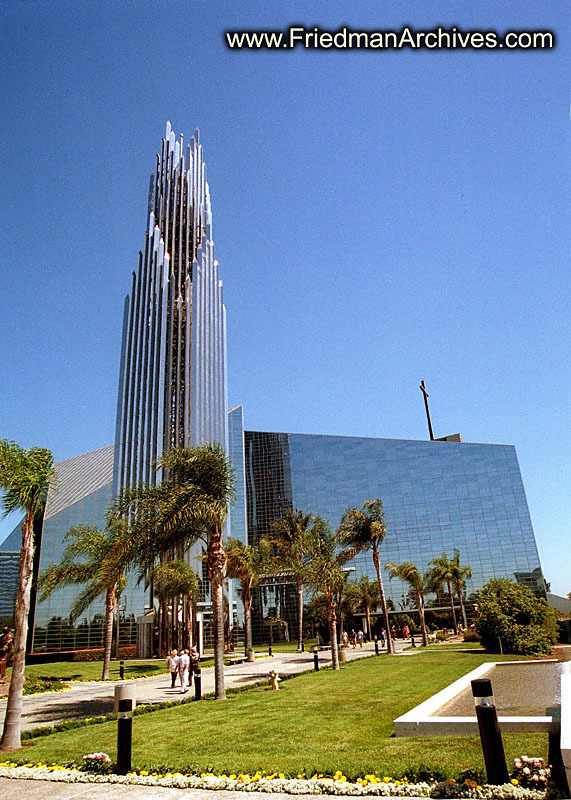 And of course over the years, I'd seen a few of his Hour of Power sermons on TV, given in the marvelous Crystal Cathedral. What a wonderful man, and a great venue. Unfortunately, he wasn't giving the sermon the day I was there, so I missed out on that. However, his son-in-law recounted his testimony of how and why he became a Christian. It was interesting, and kind of a cautionary tale on a life lived only for wordly pleasure (before he became a Christian). One of the parts of his testimony that I particularly enjoyed was his recounting of various people warning Dr. Schuller that this fellow was kind of unsavoury, with a dubious past: did Dr. Schuller really want this fellow mixed up in Dr. Schuller's growing church? To one questioner, Dr. Schuller replied: Yes, he's exactly the type of person we want here! This is a (spiritual) hospital for sick people - not a museum of saints! Which of course reminded me of why I'm so fond of Dr. Schuller and his message of hope.